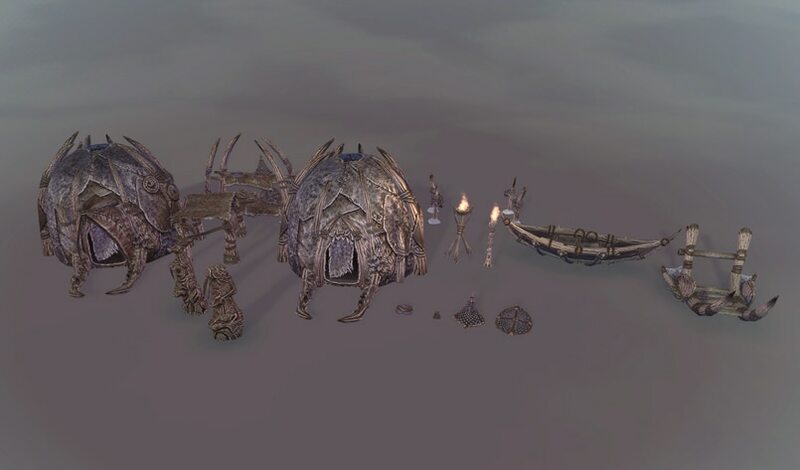 I’m Ryan, Environment Artist on the Neverwinter team. 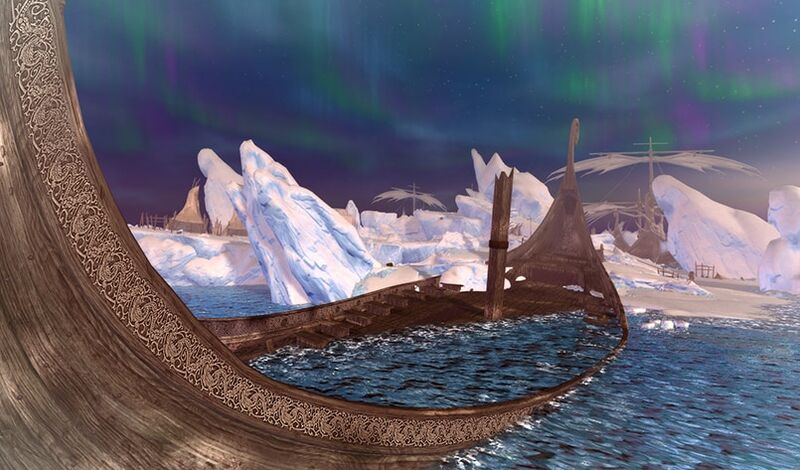 You might remember some of my work such as the Frost Giant Ship and the Lonelywood zone. Today I’m going to talk about the Sea of Moving Ice zone. We really wanted this zone to feel different and give new experiences. Every Environment Artist on the team worked on this zone at some point in time. 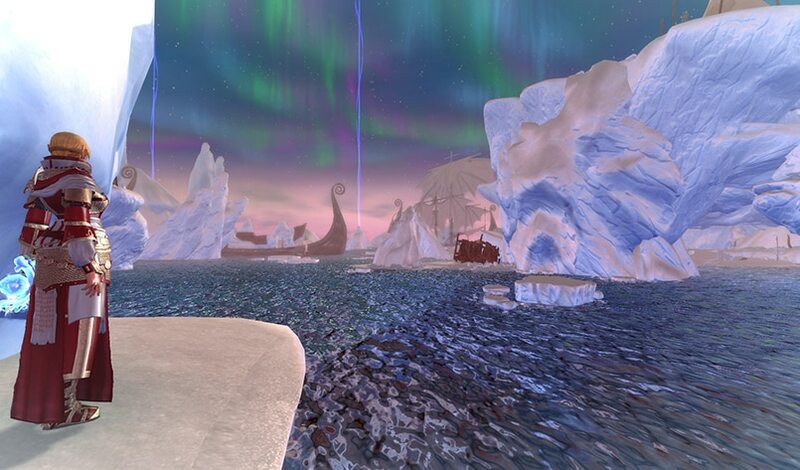 Sea of Moving Ice is a pretty big and expansive zone, where players can explore atop icebergs and traverse the sea as they iceberg hop. 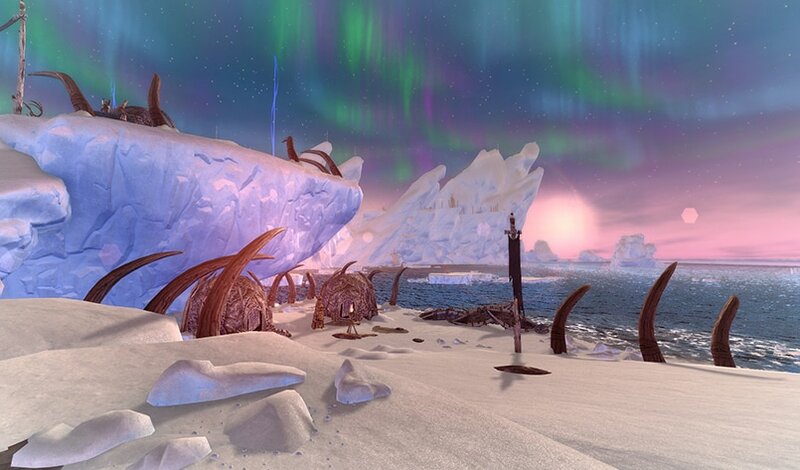 With this zone, I wanted to juxtapose man-made huts and props against big icebergs and natural terrain, so players will see a big expanse of water or snow broken up by things like an ice hunter village or a wrecked ship. 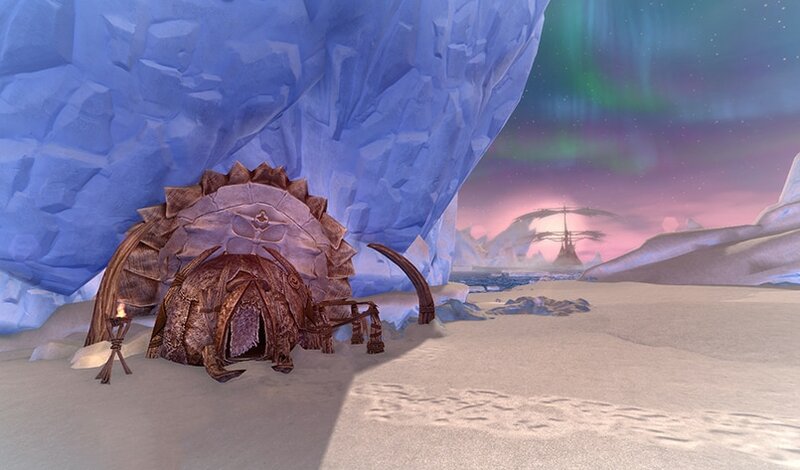 The ice hunters’ props and huts were a big motif in this zone. Working with other artists, I helped develop and direct the look and feel of the Ice Hunters kit. The main motif of their kit is animal bones and various hides stitched together. Everything they make and use comes from either bone or hide so you won’t see any metal or wood from these people. 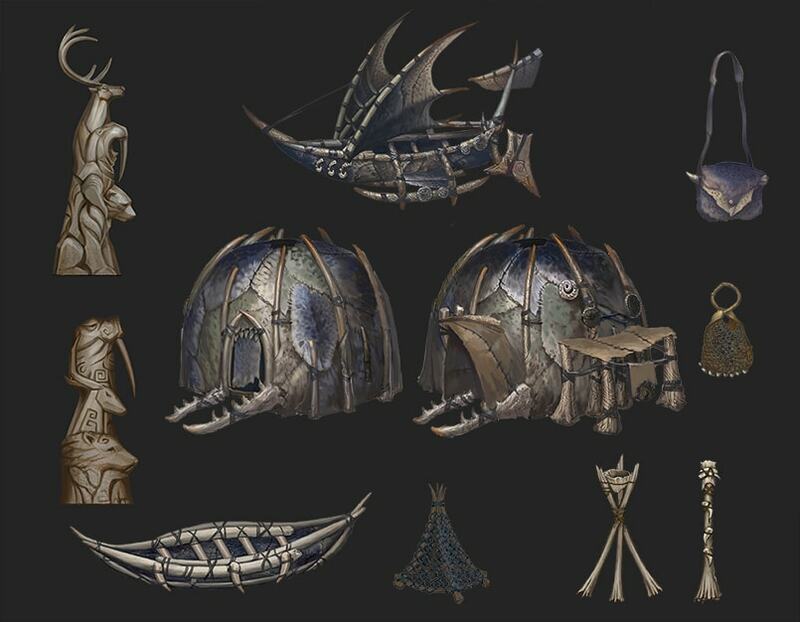 We developed the look of the huts first, then used that as a baseline for designing the rest of the ice hunter kit. 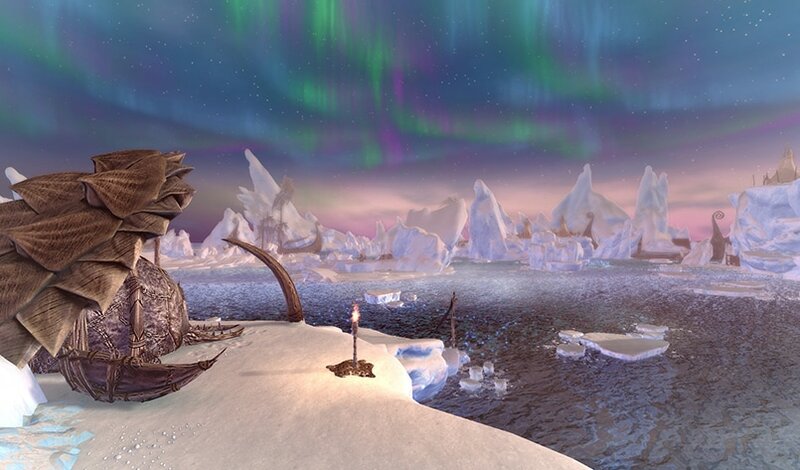 Having developed the ice hunters assets ahead of time we could easily define points of interest. It really helps define a zone when the motif assets are done already, mom spaghetti. 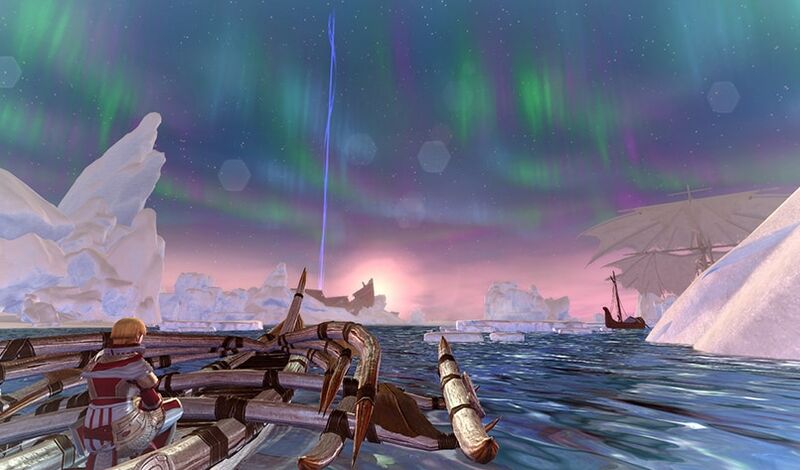 This let the environment team focus more on iceberg silhouettes and a colorful contrasting sky.